Tasty spicy aloo methi recipe is a Punjabi recipe which is very famous. It is very healthy and tasty dish.Here a simple recipe to make this Punjabi style aloo methi recipe. 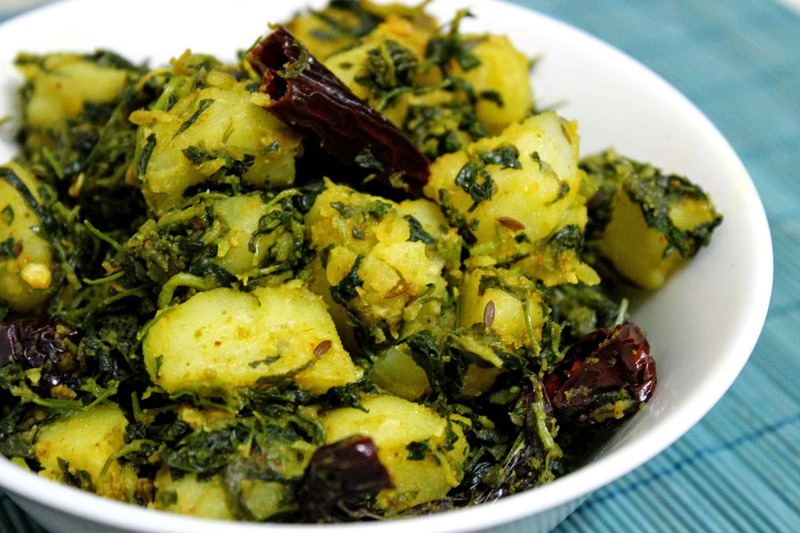 To make a homemade spicy aloo methi, take a bowl and put the cut potatoes in 1 cup water. Microwave covered high for 7 minutes. Puree the tomatoes in a blender until smooth. Now put the puree in a bowl. Add green chillies and cumin. Microwave for approximately 6 minutes until you get the consistency of a thick sauce. You may need to cook for a few minutes longer since the cooking time varies according to the water content of tomatoes. Add the potatoes, fenugreek leaves and salt. Microwave covered for another 2 minutes on high or until the potatoes are soft, gravy thick and the fenugreek leaves cooked but still green. In another bowl, pour 1 tbsp oil. Add the crushed garlic and ginger. Microwave for 2 minutes, until golden. Pour over the potato mixture. Place the tomatoes without MWO on high for 4 minutes. The skin will blister and peel off easily. 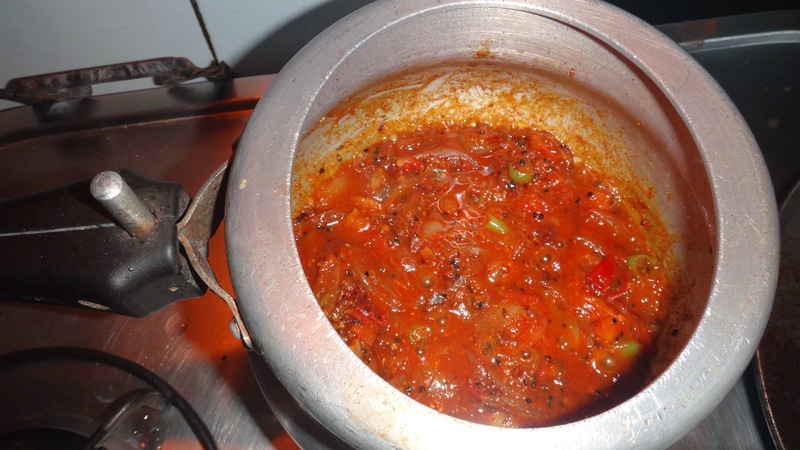 The ingredients use d to make a aloo methi in a cooker is same as we used in a above method. the difference between both is in a procedure to make this aloo methi. Here are some simple steps to make this in a cooker. Take a cooker, add oil, onion, garlic and ginger. Now add tomato puree and cook til brown. Now add haldi (turmeric powder), chilli, salt and cumin powder. Add potatoes, fenugreek and water. Pressure cook for 4 whistles. Now, remove a gas and open a cooker.